Adrian Borland on vocals and the guitar. Graham Bailey on the bass. Mike Dudley on the drums. Bi Marshall and then Colvin Max Mayers on the keyboards. Together they were The Sound. Criminal. What happened (or didnt happen) to this band is criminal. In an alternate universe, The Sound made it big, their music a virtual set of standards for the rock and pop world. Yet they never made it big. What was it? Was it that in lead singer/songwriter/guitarist Adrian Borland they just didnt have enough of an obviously photogenic frontman? On the records themselves, Borland commands the scene effortlessly, but if we compare other lead singers of the time, maybe he just wasnt as brash or beautiful or outspoken, loud, quote-worthy, whatever. The band arguably did themselves no favours with that dull, prosaic name of theirs. Maybe they just lacked that killer single. Maybe it was because they didnt commit to music videos. Maybe they were just one epic gloom and beauty band too many in an era crammed with them. 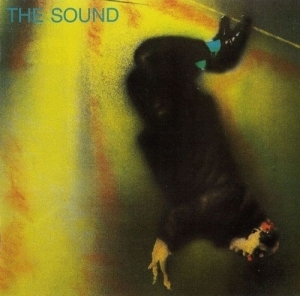 The Sound were one of many overt post-Joy Division bands, but even though both lead singers took their own lives, and even though there are many a Sound song that is wracked with despair, the majority of the bands output burns with life, energy and passion. This is not going to be a diatribe against other contemporary bands that hit the big time and left The Sound behind. The two most obvious contemporaries were U2 and Echo and the Bunnymen. U2 have always been one of the easiest bands to knock  their immense popularity, the Marmite presence of Bono, the statements, the bluster, the lack of subtlety. The Bunnymen were a classic example of a band that had the magic and lost it, but the brilliance of their first four albums can never be denied. Essentially, theres enough room in my world for all three bands, but The Sound have that extra-special something that exists because of their obscurity. Theyre a special band to me because not many people have heard them, and its like theyre still my little secret. When I say not many people have heard of them, I mean the general public and yes, people I personally know. In this day and age, when even the most esoteric and obscure bands can be name-checked and referenced, The Sound barely gets any kind of retrospective these days. The only example is an article in Uncut, the same article that got me interested in the band. After a great (if incomplete) reissue program by the Renascent label over a decade ago, their albums soon became out of print again, with only the odd live album or US-reissue here and there to keep their legacy fresh. This month however sees the release of a box set from Edsel that contains their first three albums as well as a load of extra stuff like BBC sessions, B-sides, live tracks and studio outtakes. For me, this is pleasure overload. But for those who know nothing about the band, heres my little retrospective covering their mighty run of studio albums. Not covered here are the bands earlier incarnation as punk band The Outsiders, live albums and any post-Sound solo albums. .its all fuelled to the nines with magnificent guitars, thrilling rhythms and atmospheric embellishments that make it one hell of an astounding, formidable debut. Critics went ballistic for it, and it pointed the way towards The Sound making it huge; theyd up the ante even more so for their even better second album. ..to be perfectly honest, it doesnt. .rise above and the music reaches a superb, dramatic peak. This is definitely one of the top five Sound songs of all time and a thing of great beauty. The excellent In Suspense has an off-kilter, edgy and distinctive rhythm, not to mention a cracking chorus, while Where the Love Is wraps up the first side with its powerful, quietly simmering and occasionally cathartic mood as well as its stellar guitar and piano hooks. Side two begins with Song and Dance, which opens up with some spooky synthesiser and piano interplay before exploding into an intense, tortured blast of guitar sound and eventually into a straight-up Sound rocker in the style of the first two albums. Calling the New Tune, with its great chorus, is one of the more radio-friendly songs here, though Borlands weirdly treated vocals through the verses make it just as weird as everything else here. Red Paint has plenty of tension and energy to spare, the dark Glass and Smoke an extended, discordant and eerie epic, and We Could Go Far is a blindingly fine closer, understated in the way it exudes an unnerving yet strangely optimistic and romantic atmosphere; the guitars and the synthesisers here are so damn good in their own quiet, subtle way. After lurking in the dark, the band emerged into the sun for their next release, and it seems maddening that the Shock of Daylight EP didnt produce anything successful. Its easily their most commercial and accessible work, yet this more radio-friendly sound did not dilute the impact of the bands power. In fact, and it sounds strange, it almost enhanced it! From the Lions Mouth gets the most praise, but Shock of Daylight is a personal favourite of mine. Six songs, all terrific, almost all potential individual singles, none making a mark on the publics consciousness.  sings Borland as the band give it everything and come up with a total pop classic that flies through its three minutes in a flash. The second side of this EP offers an equivalent, arguably even better pop classic with A New Way of Life, which is so passionate, so exciting, so driving and thrilling, with magnificent guitars and another wonderful chorus. 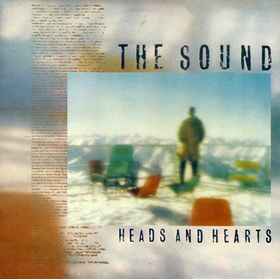 However, the EPs best guitar charge comes with the closing Dreams Then Plans, which simmers with urgent optimism and shimmering, shivering passion, occasionally breaking out into such exciting euphoria that it beggars belief that this band didnt make it, on the evidence of this EP in particular. The guitar charge in question comes in around 2:11, where everything comes together and the heavens part and theres no doubt that The Sound are The Great Ones. Dreams Then Plans is my favourite song on this EP, though second song Longest Days, with its thick bass intro and searing guitar, is another major, major highlight, as is the slow-burning, chilling Winter and the lovely Counting the Days. average? Its okay, itll do. Not bad! But not great. Lacks the magic of the best Sound songs. Better, much, much better is `Restless Time which mixes a pretty bleak, desperate lyric with an absolute stormer of a tune thats just breathtaking. Awesome chorus, awesome singing, thrilling playing, just an absolute classic! `Mining for Heart has a droning, eerie sway to it, and `World As It Is is a brief but occasionally soaring little gem. The best is saved for last though. Oh god, the autumnal Temperature Drop is so beautiful, so very, very beautiful. One of my favourite songs. The chilling breeze of the verses give way to an astonishingly powerful chorus where the guitars conjure lovely, bittersweet melodies. 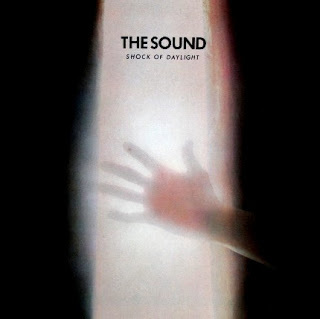 The best closer to any Sound album (Shock of Daylight doesnt count, its an EP! ), even more so than the terrific We Could Go So Far, `Youve Got a Way or `New Dark Age. Thats saying something. Again though, no sales. 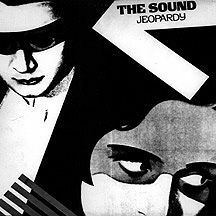 The Sounds final album (bizarrely omitted from Renascents reissue program) was the mighty Thunder Up, which sounds as triumphant an album as is possible for an a band that would have little to no impact on the mainstream music scene at the time. Despite the darkness of the last half, it sounds valedictory, as conclusive a final chapter as something like Abbey Road. Kinetic is absolutely phenomenal  one of the most exciting songs ever, living up to the promise of its name and then some. Without ever lapsing into bombast, it revs itself up to thrilling peaks and dizzying ascents. When I made myself a 2-CD Sound compilation years back, I ended the whole thing on Kinetic, because after that where the hell can you go? Barria Alta and Hand of Love sounds like Christmas. They sound like a hug of warmth in the cold night. And because theyre not about Christmas, you can listen to them all year long. Iron Years has such a silly synth-hook that might prove distracting at first, but the songs greatness shines through and through. Prove Me Wrong is brief but brilliant, a real ray of sunshine. Acceleration Group a guaranteed crowd-pleaser  oh, if only they had the crowds at the time. Saying that, The Sound were huge in The Netherlands  at least they had the sense to recognise greatness. 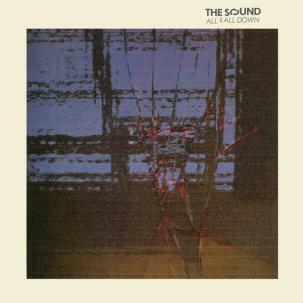 The final half of the album is a bit of a comedown  the atmospherics a lost town thats been shot up and shut down  brutally effective and magnificent but chilling nonetheless. The beautiful piano introduction of Youve Got a Way gives way to a deeply dramatic, coursing epic that tears through the darkness. They split up in 1998. The Sounds recorded legacy is one of the finest in all of rock and pop. Dont leave them behind.